In Algiers, the official press agency APS announced in a communiqué that the CEO of SONATRACH, the Algerian State oil company signed an agreement with British Petroleum and Equinor of Norway representatives on the exploration and development of Shale Gas in the Algerian South-Western basins. As the fracking boom matures, the drilling industry’s use of water and other fluids to produce oil and natural gas has grown dramatically in the past several years, outstripping the growth of the fossil fuels it produces. A new study published Wednesday in the peer-reviewed journal Science Advances says the trend—a greater environmental toll than previously described—results from recent changes in drilling practices as drillers compete to make new wells more productive. For example, well operators have increased the length of the horizontal portion of wells drilled through shale rock where rich reserves of oil and gas are locked up. 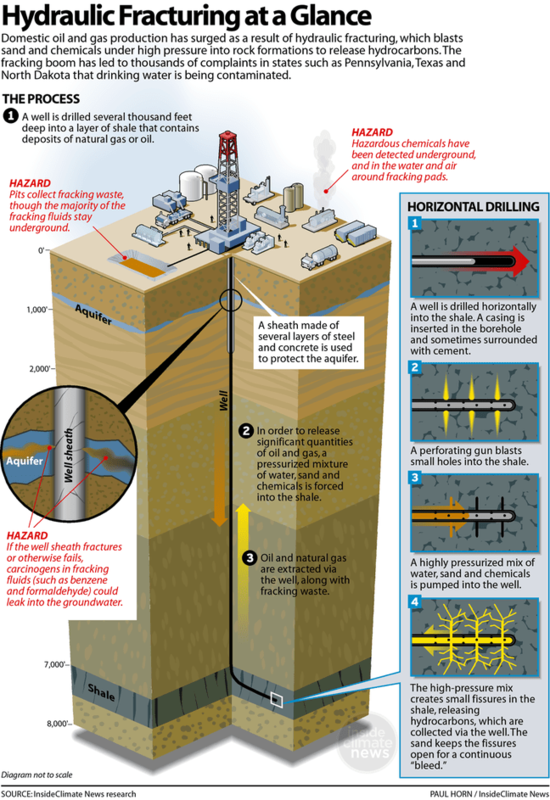 They also have significantly increased the amount of water, sand and other materials they pump into the wells to hydraulically fracture the rock and thus release more hydrocarbons trapped within the shale. The amount of water used per well in fracking jumped by as much as 770 percent, or nearly 9-fold, between 2011 and 2016, the study says. Even more dramatically, wastewater production in each well’s first year increased up to 15-fold over the same years. Monika Freyman, a water specialist at the green business advocacy group Ceres, said that in many arid counties such as those in southern Texas, freshwater use for fracking is reaching or exceeding water use for people, agriculture and other industries combined. “I think some regions are starting to reach those tipping points where they really have to make some pretty tough decisions on how they actually allocate these resources,” she said. The study looked at six years of data on water use, as well as oil, gas and wastewater production, from more than 12,000 wells across the U.S. According to Vengosh, the turning point toward a rapid expansion of water use and wastewater came around 2014 or 2015. The paper’s authors calculated that as fracking expands, its water and wastewater footprints will grow much more. 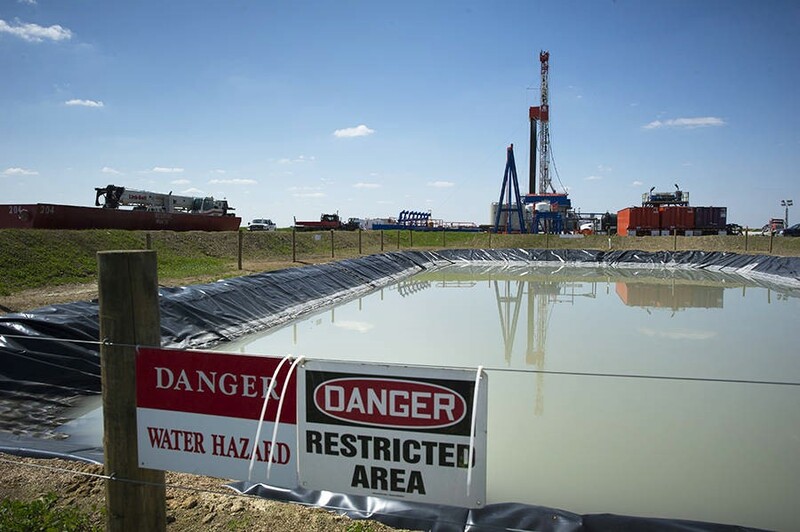 Wastewater from fracking contains a mix of the water and chemicals initially injected underground and highly saline water from the shale formation deep underground that flows back out of the well. This “formation water” contains other toxics including naturally radioactive material making the wastewater a contamination risk. The contaminated water is often disposed of by injecting it deep underground. The wastewater injections are believed to have caused thousands of relatively small-scale earthquakes in Oklahoma alone in recent years. Jean-Philippe Nicot, a senior research scientist in the Bureau of Economic Geology at the University of Texas at Austin, said the recent surge in water use reported in the study concurs with similar increases he has observed in the Permian Basin of West Texas and New Mexico, the largest shale oil-producing region in the country. Nicot cautioned, however, against reading too much into estimates of future water use. The projections used in the new study assume placing more and more wells in close proximity to each other, something that may not be sustainable, Nicot said. Other factors that may influence future water use are new developments in fracking technology that may reduce water requirements, like developing the capacity to use brackish water rather than fresh water. Increased freshwater use could also drive up local water costs in places like the Permian basin, making water a limiting factor in the future development of oil and gas production. Phil McKenna, is a Boston-based reporter for InsideClimate News. Before joining ICN in 2016, he was a freelance writer covering energy and the environment for publications including The New York Times, Smithsonian, Audubon and WIRED. Uprising, a story he wrote about gas leaks under U.S. cities, won the AAAS Kavli Science Journalism Award and the 2014 NASW Science in Society Award. Phil has a master’s degree in science writing from the Massachusetts Institute of Technology and was an Environmental Journalism Fellow at Middlebury College.